A new species of crayfish that does not need a male in order to reproduce is causing concern among authorities about its environmental impacts. A new species mutant crayfish may be set to wreak havoc on the world, but it is not because this species is some giant mutant like you would see in the movies, but rather because it is all-female and can reproduce on its own. The marbled crayfish, born to male and female slough crayfish orginally in Florida, is sold in North America but banned in the European Union. Their mutation allows them to reproduce without needing any participation whatsoever from a male, which means the six-inch pest could create an environmental catastrophe. 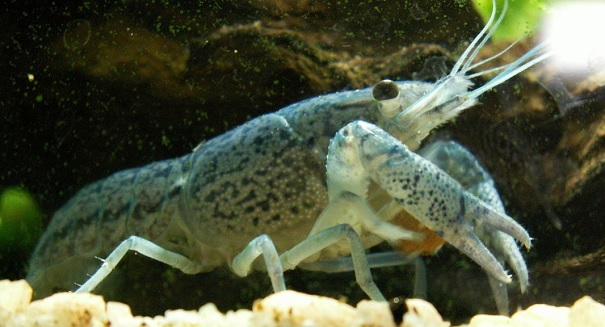 Just a few decades ago, Procambarus virginalis did not even exist, but now it is becoming a growing concern for environmental officials and is now officially a separate species. The marbled crayfish can now be found in the wild in the United States, some European countries, Madagascar, and Japan. It is considered an invasive species that could create a major problem for native species, particularly in Madagascar where as many as seven species are at risk.